Black chickpeas along with the crunchy veggies in a mild mint flavor obviously taste yummy. 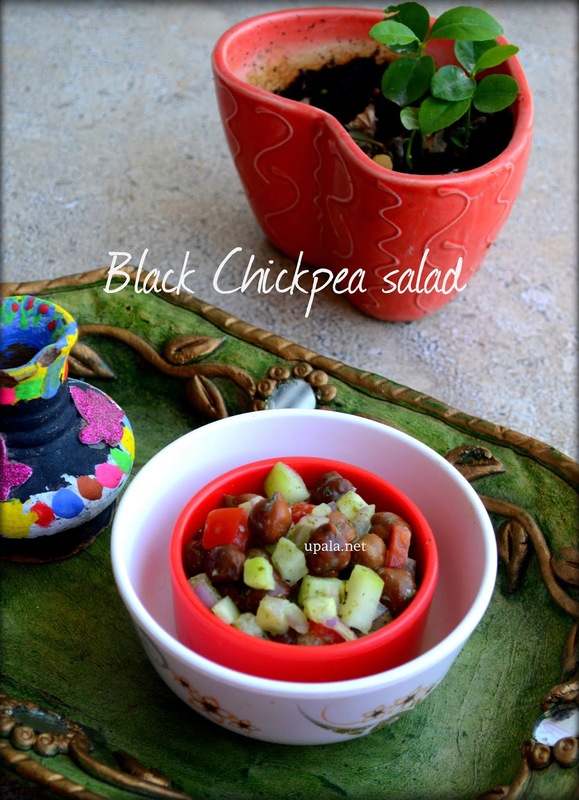 Before preparing this salad, you need to soak the black chickpea in water overnight. Next day, discard the water and pressure cook it till soft. This nutrition-packed salad is easy to prepare and is a great snack for weight watchers. 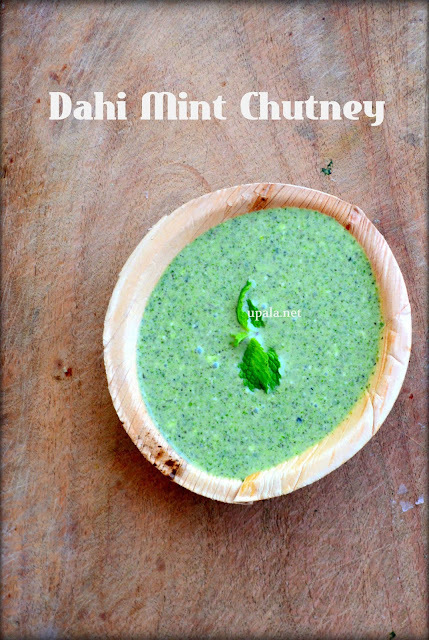 We are adding a flavourful dip "Mint Curd Chutney" to this salad, whose recipe I have already shared. 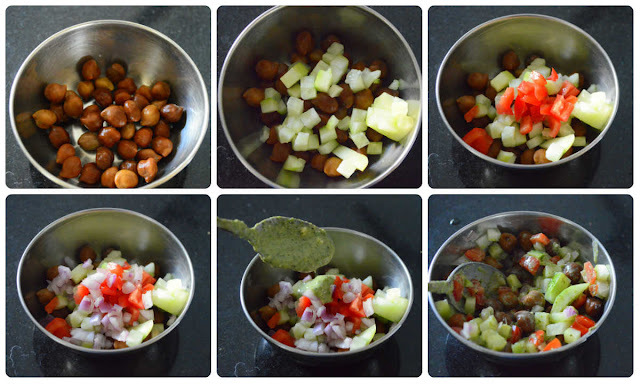 1) Take a mixing bowl and add boiled chickpeas, Cucumber, Tomatoes, Onion, salt, Chaat masala, Mint Curd chutney and mix well. 2) Taste and adjust the salt and chutney as needed. 1) You can add any other veggies as per your wish, like chopped capsicums, banana stems, or Raw mango. You can even add chopped boiled potatoes. 2) To add more spiciness, add finely chopped green chilies or red chili powder. 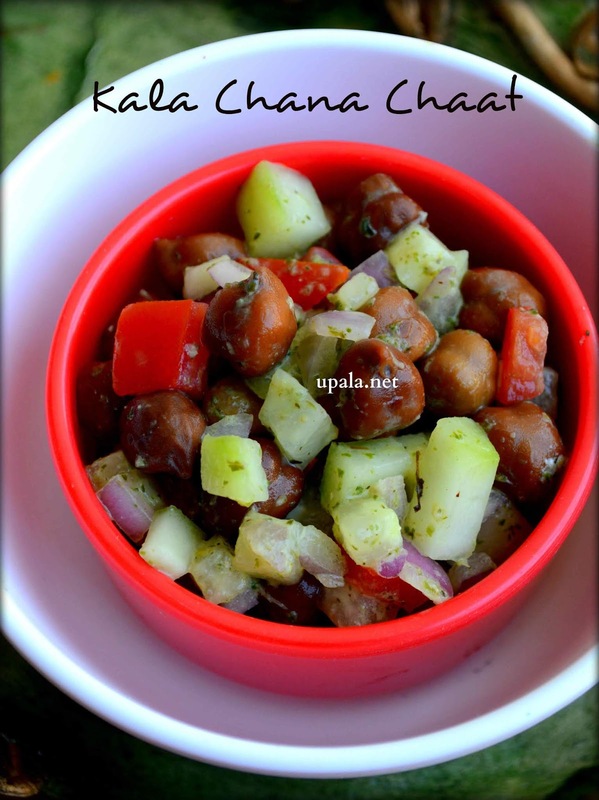 3) Alternatively, try with other legumes of your choice such as green gram, white chickpeas or even peanuts.